Equity funds took in a net 66.57 billion rupees ($1 billion), the least since last February. 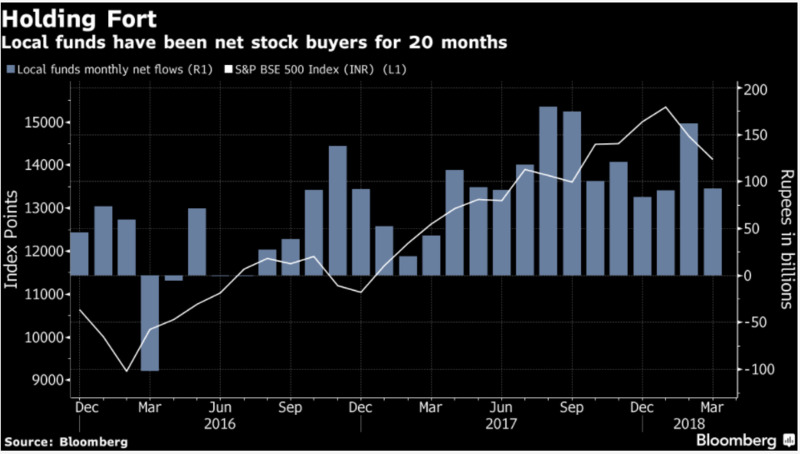 Inflows into Indian equity funds in March were the smallest in 13 months as some investors sold before a tax on stock holdings took effect from April 1 and volatility returned to markets worldwide. Equity funds took in a net 66.57 billion rupees ($1 billion), the least since last February, data from the Association of Mutual Funds in India show. Shares tumbled globally toward end of March as trade skirmishes between the US and China cooled demand for riskier assets. India’s S&P BSE Sensex gauge entered its first correction in more than 15 months as the selloff hit investor sentiment already weakened by the government’s decision to bring back a tax on equity gains after 14 years to boost revenue. “Global volatility spooked some investors into redeeming funds as our market fell 10 per cent in little over a month from its January high,” said Vidya Bala, head of research at FundsIndia. Exits by institutional investors looking to avoid the tax by selling before March 31 contributed to the reduced inflows, she said. Even so, flows should recover in the coming months as AMFI data suggests that mom-and-pop investors are buying the dip. 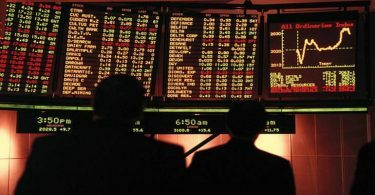 Equity funds posted total sales of 436.4 billion rupees last month, compared with 346.41 billion rupees in February, the data show. “Inflows into equity funds at a gross level in March have been higher those in February, which means retail are buying on declines,” Bala said. There was concern that a move to end the tax break on equities would affect flows from individual investors, who’ve flocked to funds since Prime Minister Narendra Modi took office in 2014. Continued local flows support of $2 to $2.5 billion a month is needed to support the equity paper supply expected in the year that began April 1, CLSA India Pvt. said in a note. Local stock funds received 1.71 trillion rupees of net inflows in fiscal year ended March, more than double those of the year-earlier period: AMFI. Inflows into balanced funds, which buy stocks and bonds, jumped 34 per cent over February to 67.5 billion rupees, the data show.